Happy New Year beautiful people of LaLa Land. Yes, I know this is coming late as it is already nine days into the new year – I might have started this post a year ago and failed to complete it (these a year ago jokes really must stop lol) . I’d blame my upcoming school exams for the delay in completion. There really should be a law against writing exams in January and during harmattan. It is just not fair. For those who have been subscribers of my blog for the last two years – beautiful people, I appreciate you all – you would understand that my tagline changes every year. 2017 was tagged “discovering what really matters” and the tag came really late amidst waiting for the euphoria of a new year. There was me anticipating the sensation, push and difference that comes with a new year, wanting spontaneity, while watching days slip by until I seized responsibility for my existence and decisions. Yet, 2018 is about being even more intentional and I have decided that my goal is growth. 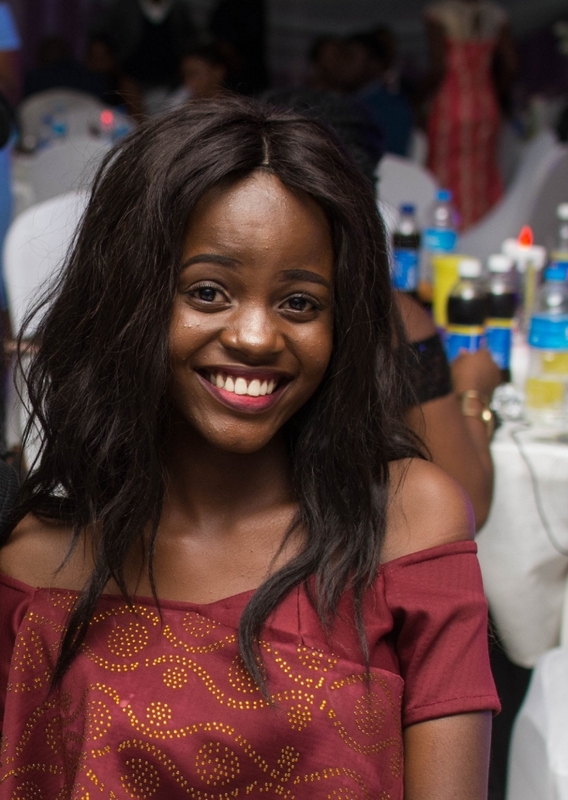 I understand that I am not who I was yesterday, this girl has learnt a number of lessons albeit amidst a lot of dissatisfactions and uncertainties. The conclusion to my journey of discovering what really mattered was that it never actually mattered. Those sleepless nights I tried to figure out if stuffs would work out, had constant nightmares replaying my fear of failing, I really should have just slept. When I reeled in regrets over mistakes and wrong decisions, I really should have just let go and moved on. I told my friend Olamide that the number of times I cried in 2017 was altogether more than all the tears I cried my whole life. Something always went wrong. Early into the year, my PC crashed and I lost every single backup for over five years, a 20 page plus assignment, a journal and everything you can think of. There was the persistent health battles and body pains. The falling CGPA and constant failures. The regular rejections even after a lot of hard work. In 2017, Buchi Emecheta, Don WIlliams, and Jennie died. Family law gave me a 56 out of 100. I had the weirdest set of roommates and for the first time I really hated the one whole year I had to spend in a room all through.I made and lost friends. I stuttered, stammered and gained confidence. I broke down over and over and over again. Yet in the end, I only learnt that it did not actually matter. The tears, anger, frustration and disappointments. The end was that it was going to be okay anyway and in a little while, it would just be a string of letters on my blog reminding me there was a time things were tough. This lesson came to me the first part of the year and in a funny way, I forgot all through till the year ended. I let the actions, reactions and inactions of certain persons determine how I felt about everything else and never again would I let anyone except myself have that power over me. The plan is to make decisions independent of emotions, stop waiting for a spark to start, but rather be my own catalyst. I never realized that I was one of those persons who found it easy to just refer to anyone as “a friend” until I received an extremely long lecture from Mo. I neglected to consciously separate acquaintances from friends and I had never deliberately chose a friend myself. Consequently, I was just really surrounded by everybody and nobody. In 2017, I made a mental catalogue of who were my friends and weren’t and what is left is a really tight list to those who actually matter. In a year were seeds of disappointments birthed fruits of tears, I accepted that I was human and it was okay to meltdown. That crying doesn’t make me weak and breaking down simply builds me up stronger. I had my lowest grades ever last year and I immediately panicked. What if I really never knew Law and I had just been lucky? I only aced a law course and the rest was just a struggle for the lower grades. Of course, I was disappointed but there is me also being grateful knowing it could have been worse. Law please be nice this year and let me make my mom and dad proud. Life never really happens the way we plan, if it did we would never have uncertainties and be scared of the ‘morrow. Imagine knowing everything would be perfect, there would no longer be a need for a God and life would just be a community of clashes worse than we have now. Different people with opposing needs would battle for the supremacy of theirs in a planet of pride, self and conceit devoid of both humility and love for others. Truth is, things take time and would happen when they are supposed to. There is no point beating yourself over past mistakes or unending questions of doubt. 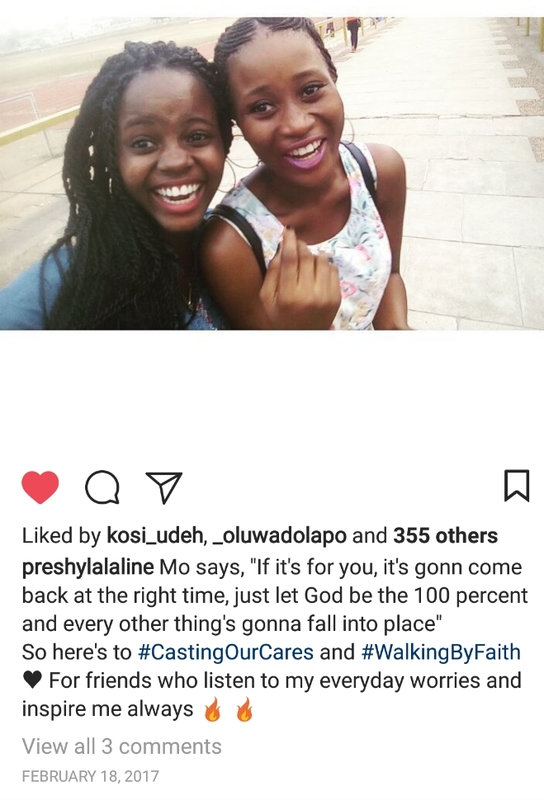 From my addiction to the popular BreakOrMakeup Instagram page, I observed that many girls got pregnant for the wrong person outside marriage and had to deal with being single moms. In my society, this is the ultimate stigma. Your parents would never stop the taunt with their eyes, gestures and sometimes harsh words even after they have forgiven you. And until you accept your flaws and mistakes, you would simply cry over and over wishing you had control over time. 2017 was the first time I actually heard God speak clearly with accurate words of knowledge concerning certain things. A time in which my spiritual life was predominantly a fluctuation of the high and low, God spoke and listened. I am grateful for this miracle, for having a best friend, comforter and helper in the Holy Spirit. Most of all, for God’s word which is always a lamp to my feet and a light to my path. The tag is Evolving and the goal is growing into who I’m supposed to be. 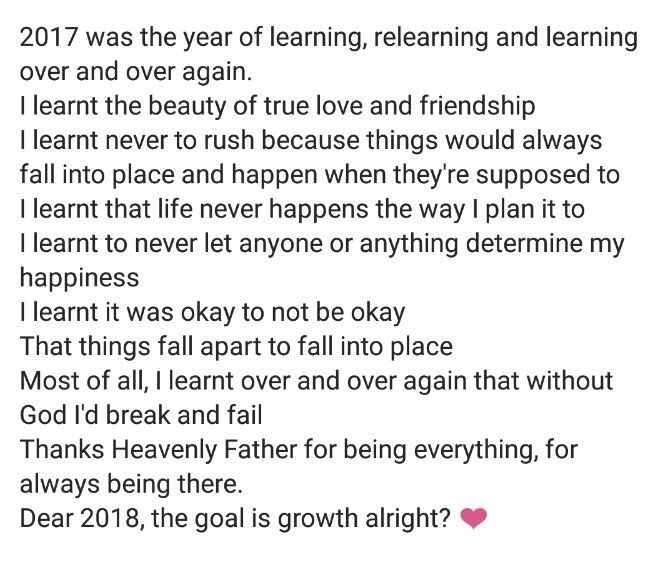 these are good lessons and I definitely agree with you on this “…2018 is about being even more intentional and I have decided that my goal is growth”. Same thing I told myself.